Late Tuesday night Fox News received a copy of a letter from one of Dr. Christine Blasey Ford's ex-boyfriends who claims Ford has experience coaching her former roommate on polygraph tests, which contradicts Ford's testimony under oath. During our time dating, Dr. Ford never brought up anything regarding her experience as a victim of sexual assault, harassment, or misconduct. Dr. Ford never mentioned Brett Kavanaugh. During some of the time we were dating, Dr. Ford lived with Monica L. McLean, who I understood to be her life-long best friend. During that time, it was my understanding that McLean was interviewing for jobs with the FBI and the US Attorney's Office. I witnessed Dr. Ford help McLean prepare for a potential polygraph exam. Dr. Ford explained in detail what to expect, how polygraphs worked and helped McLean become familiar and less nervous about the exam. Dr. Ford was able to help because of her background in psychology. Dr. Ford and I lived together while we were dating and stayed together in a long-distance relationship when Dr. Ford moved to Hawaii sometime around 1998, although I am not sure of the particular year and it might have been a bit earlier or later. White visiting Ford in Hawaii, we traveled around the Hawaiian island including one time on a propeller plane. Dr. Ford never indicated a fear of flying. To the best of my recollection Dr. Ford never expressed a fear of closed quarters, tight spaces, or places with only one exit. I assisted Dr. Ford with finding a place to live in [redacted], CA. She ended up living in a very small, 500 sq. ft. house with one door. Despite trying to maintain a long distance relationship, I ended the relationship once I discovered that Dr. Ford was unfaithful while living in Hawaii. After the break up, I took her off the credit card we shared. But nearly 1 year later, I noticed Dr. Ford had been charging the card, and charged about $600 worth of merchandise. When confronted, Dr. Ford said she did not use the card, but later admitted to the use after I threatened to involve fraud prevention. I didn't speak again to Ford until about 2002 when Ford contacted me briefly. After that I hadn't thought much about her until I saw her story in the Washington Post on Sunday, Sept. 16, 2018. I do not want to become involved in this process or current investigation, but wanted to be truthful about what I know. Senate Judiciary Chairman Chuck Grassley (R-IA) demanded that Ford and her attorneys hand over key pieces of evidence, including therapy notes. "Your continued withholding of material evidence despite multiple requests is unacceptable as the Senate exercises its constitutional responsibility of advice and consent for a judicial nomination," Grassley said. Grassley believes any inconsistencies in Ford's story can be addressed if her legal team turns over all video and/or audio recordings/footage of her polygraph. 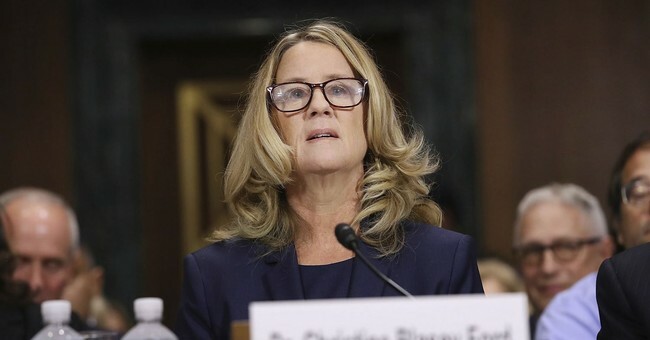 Although Ford passed her polygraph examination, there were glaring contradictions between her written polygraph statement and the prepared statement she delivered to the Committee.